The Timeless Classics Range gives you a beautiful Iced Images Cake at a more affordable price than our Bespoke Wedding Cakes range. Our Timeless Classics Range gives you the option to choose from two sizes of beautiful 3 tier cake with enough sponge cake to feed either 105 guests or 80 guests a 2x1 inch dessert portion. The design is fixed, but you can change size of the cake (105 or 80 portions), the flavours, colour of ribbon/flowers (within our standard range of colours) and the colour of the icing only (white or ivory). You provide your own cake topper to make your cake personal to you. 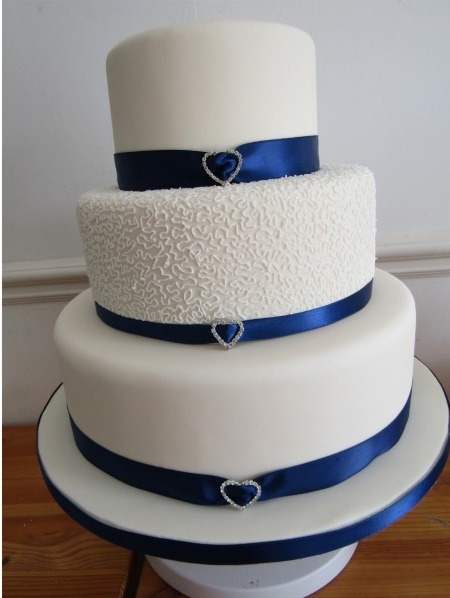 The price of the cake is fixed and includes delivery on your wedding day free of charge within 10 miles of our studio. A sponge tier can be swapped for a fruit tier at additional cost of £30 per tier. Each tier is approx. 4 inches tall, with a central layer of filling. There is no consulation included with the Timeless Classics Range as the design is fixed, however you are welcome to collect samples from us at an arranged time and date. Iced Images reserve the right to use alternative lace, ribbon and decoration should the pictured not be available exactly. 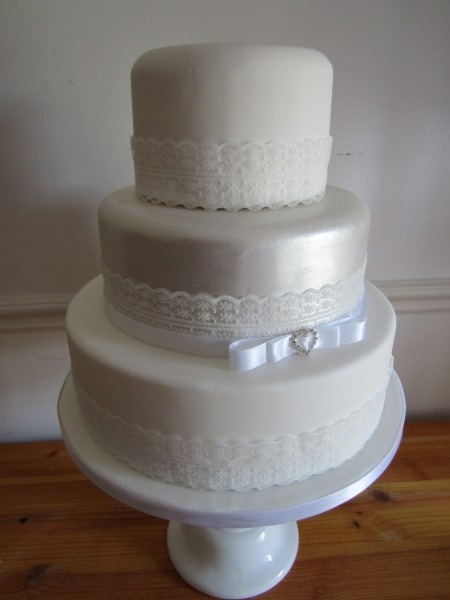 A pearlised tier edged with gorgeous lace and finished with a bow. 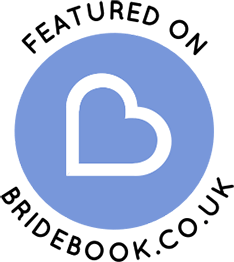 Change the ribbon to match your theme from our ribbon stock. 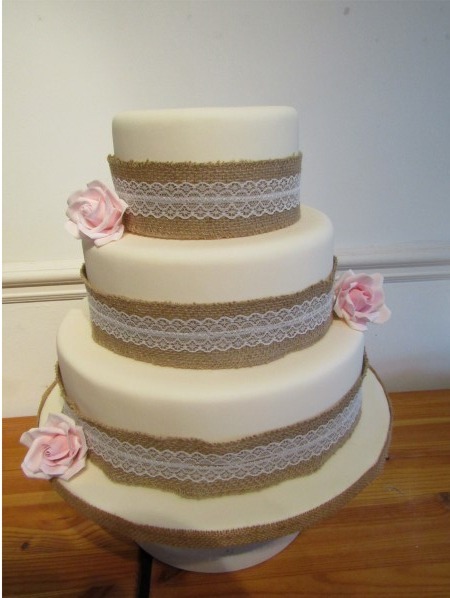 Hessian and lace finished with sugarwork roses. The roses can be changed to match your colour theme. A beautiful two tone ribbon design, matched to your theme and finished with a large bow and beautiful broach. 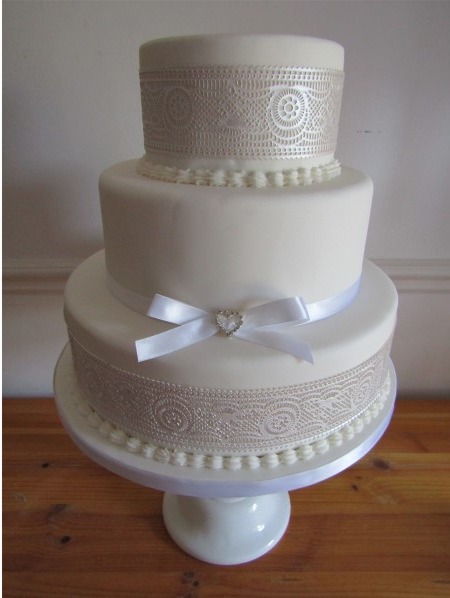 This design features pealised edible lace, traditional piping and finished with ribbon and bow which can be changed to match your theme. This design has a middle tier of the very popular quilted effect finished with silver dragee balls to give a tiny hint of sparkle! 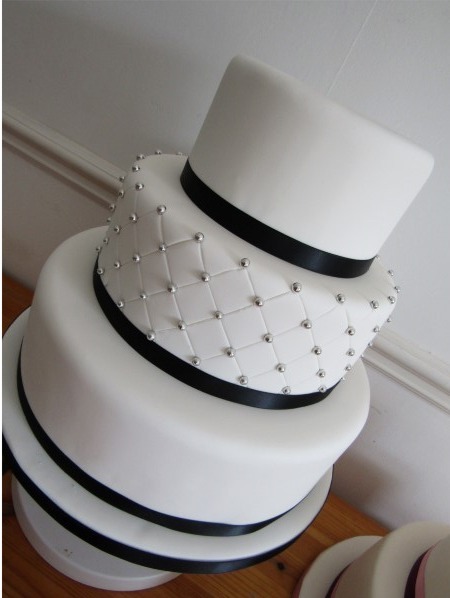 This design incorporates piping, ribbon and diamante heart buckles to give an elegant cake. 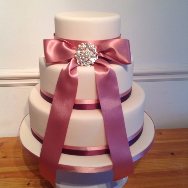 Don’t forget you can change the colour of your ribbon and choose ivory or white icing!